At Aries, we recognize that successful peer review, production and distribution of scientific literature requires the co-operation of many independent vendors, and that no single company can optimally provide all of these services to a publisher or scholarly organization. For this reason, Editorial Manager and ProduXion Manager are an open platform for the integration of best-of-class third party applications and services. If your organization offers a product or service that could be integrated with the peer review digital workflow we encourage you to contact us to discuss technical and marketing partnership opportunities, please contact us. on draft manuscripts before they are submitted to journals. Manuscripts are not peer-reviewed, edited, or typeset before being postedonline. A manuscript may be posted prior to, or concurrently with, submission to a journal but not if it has been accepted and given a journal DOI or published. Once posted, manuscripts have a preprint DOI and are citable. Authors may submit a revised version of a manuscript to bioRxiv at any time prior to publication in a journal. bioRxiv is operated by Cold Spring Harbor Laboratory, a not-for-profit research and educational institution. Follow @biorxivpreprint on Twitter. CASRAI is an international nonprofit membership initiative led by research institutions and their partners. Our mission is to adapt the principles and best practices of open standards and data governance to lead and facilitate key stakeholders in annual deliberations to develop ‘standard information agreements’ that serve as bridges between research information users. CASRAI oversees the CRediT taxonomy. Project CRediT originated at a May 2012 workshop, co-hosted by the Wellcome Trust and Harvard University, which brought together those interested in exploring contributorship and attribution models. This meeting spawned a working group charged with developing a controlled vocabulary of roles that could be used to describe typical research “contributions”. The group tested its draft taxonomy with corresponding authors publishing across science disciplines. The outcomes of the pilot test are described in this Nature commentary (April 2014). The Project CRediT taxonomy consists of the following 14 contribution types to scholarly work, along with guidelines on how these roles may be assigned. The CRediT taxonomy will be integrated with Editorial Manager version 13.0. Copyright Clearance Center (CCC) is the creator of RightsLink for Open Access®, the industry-leading Article Publication Charge (APC) management system integrated with Editorial Manager. Aries Systems Corporation is an authorized Crossref Agent. Editorial Manager integrates with similarity check, Open Funder Registry, DOI, and other Crossref tools and services. Since 1992, Inera has developed unique technologies to transform publishing workflows. Inera’s editorial and XML production tool, eXtyles®, includes reference-processing features to clean up, copyedit, and validate bibliographic references and link them to PubMed and Crossref. Aries and Inera have integrated eXtyles reference processing with Editorial Manager and ProduXion Manager (beginning with EM 4.0 in 2005), providing hyperlinked bibliographies for peer reviewers, early warning of bibliographic errors for authors, and formatting of reference lists to house style for journal editors. In 2018, Editorial Manager integrated eXtyles Metadata Extraction (as Aries Xtract), which streamlines the author submission process and improves metadata accuracy by automatically identifying and extracting key metadata elements from author-submitted Word files to auto-populate submission fields. For biomedical journals MEDLINE is an essential resource that enables authors, reviewers and editors to validate content, check references and identify candidate reviewers. In Editorial Manager, MEDLINE has been fully integrated into the journal workflow so that high-quality relevant information is never more than a click away. 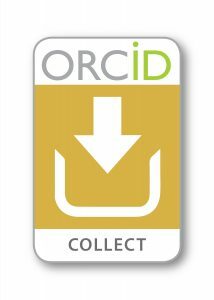 ORCID is a community-based effort to create and maintain a registry of unique researcher identifiers and a transparent method of linking research activities and outputs to these identifiers. 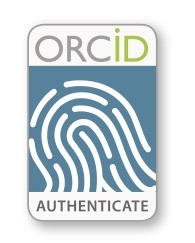 As an ORCID Launch Partner and evangelist, Aries Systems supports ORCID and the many benefits it offers during manuscript workflow. 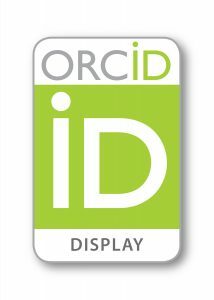 Editorial Manager® (manuscript submission and peer review) and ProduXion Manager™ (production tracking) have been integrated with ORCID, allowing publications to accept ORCID IDs from authors, co-authors, reviewers, and editors. 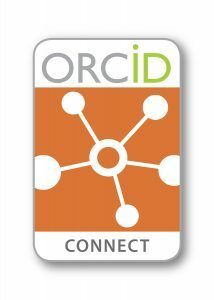 Using the ORCID API, Aries delivers a stream of innovative new solutions to the 5,000+ journals that use its platforms. Aries’ mission is to help customers “publish faster, publish smarter,” and continuing support of ORCID aligns with this mission. Ringgold helps publishers and intermediaries improve the quality of their data. Clean, well structured data can be used to develop better business intelligence, improve decision making, and more easily connect your publications to the supply chain. Sheridan is a leading provider of print, publishing services and technology solutions to publishers, associations, university presses, and catalogers. With four U.S. based-production facilities, each location has a market specialty that supports STM and commercial reprints, scholarly journals, magazines, catalogs, or books. StatReviewer is an automated review of statistical and reporting integrity for scientific manuscripts. Manuscripts are scanned and a report is generated. The report will either resemble an actual peer review, or checklist, depending on the guidelines specified by the journal. StatReviewer is built to integrate into your existing document handling workflow, and stay out of the way. It can be used on every manuscript to ensure consistent integrity, or use it only when needed.